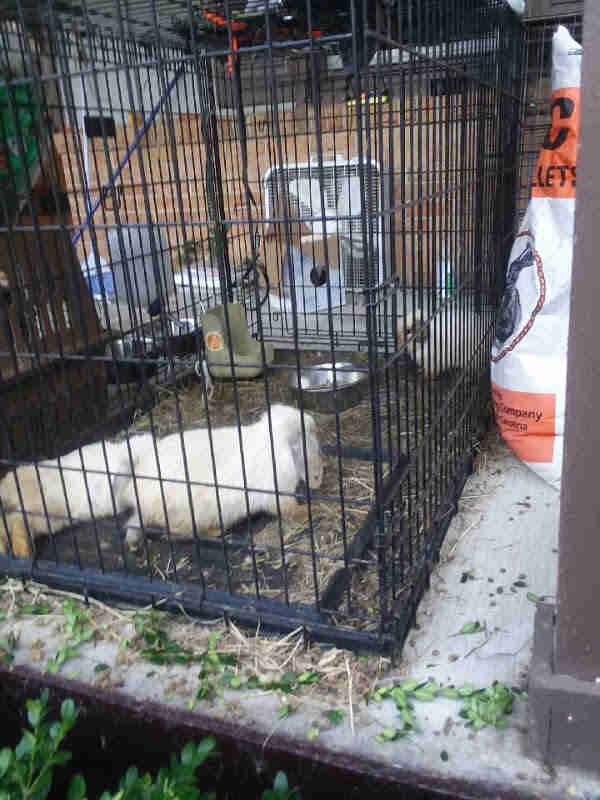 Last month, a woman moved into a new rental home in Georgia, but when she looked in the backyard, she found that the previous tenants had left something behind — three pet rabbits in a filthy dog crate. The woman who found them organized new homes for two of the rabbits, but the third one — who was the scrawniest and sickest of the bunch — remained. 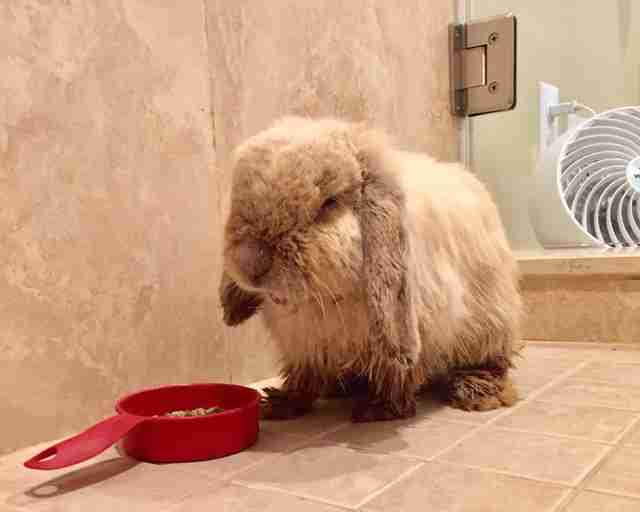 So she contacted Georgia House Rabbit Society, and arranged for them to take care of the neglected bunny. 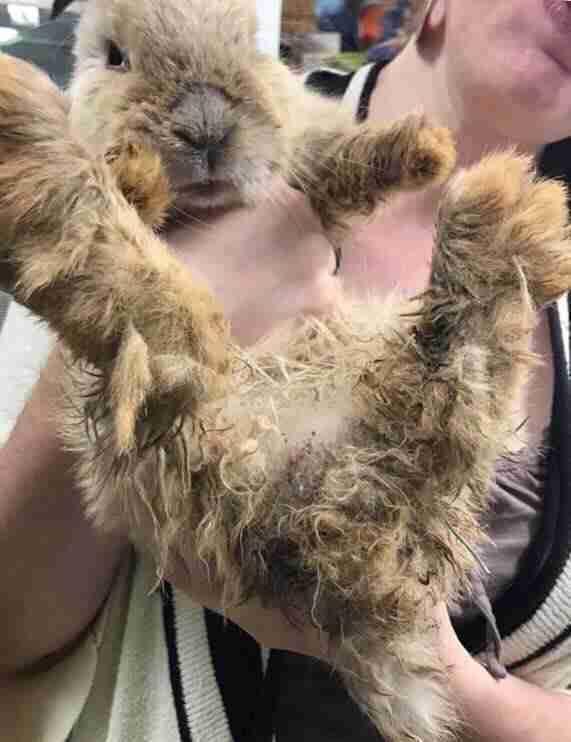 The rabbit, whom a volunteer named Gnocchi (since she thought he looked like a piece of potato pasta with legs), was in terrible shape. He was covered in matted fur, and filthy from living in his own waste. But his teeth were the worst part. The shelter volunteers cleaned Gnocchi up as best as they could, washing his fur and cutting the mats out. Then they took him to the vet for a checkup. 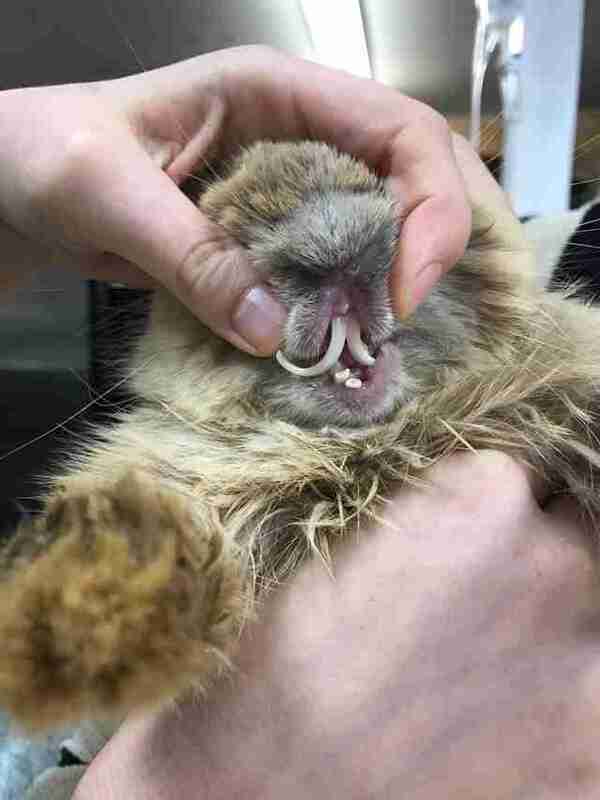 Everyone quickly decided that it was in Gnocchi’s best interests to have his overgrown front incisors completely removed (instead of just cutting them, which would only offer a temporary solution, McGee said), although his molars would remain. But it was worth it. An hour after Gnocchi woke up from the anesthesia, he started to eat, according to McGee. 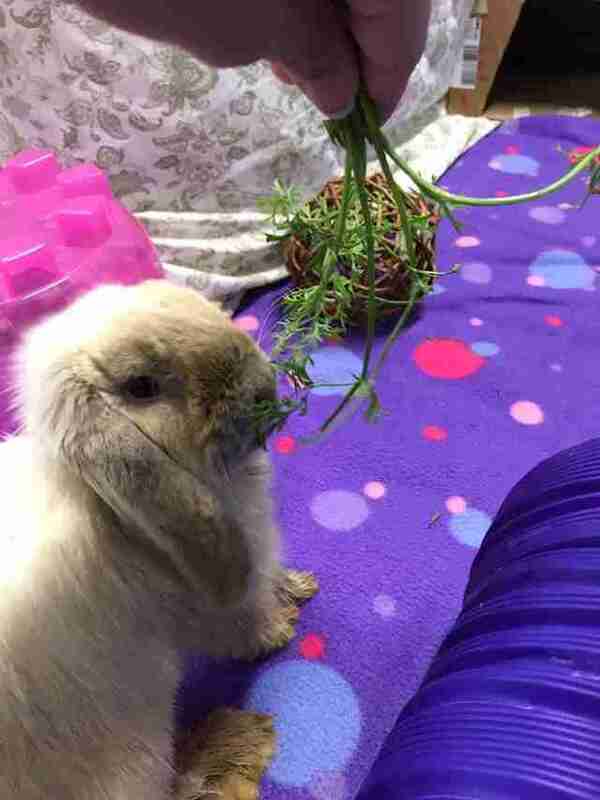 The shelter team is also helping Gnocchi regain his health by feeding him high-quality rabbit pellets, hay and fresh green vegetables. And they’re giving him lots and lots of attention. 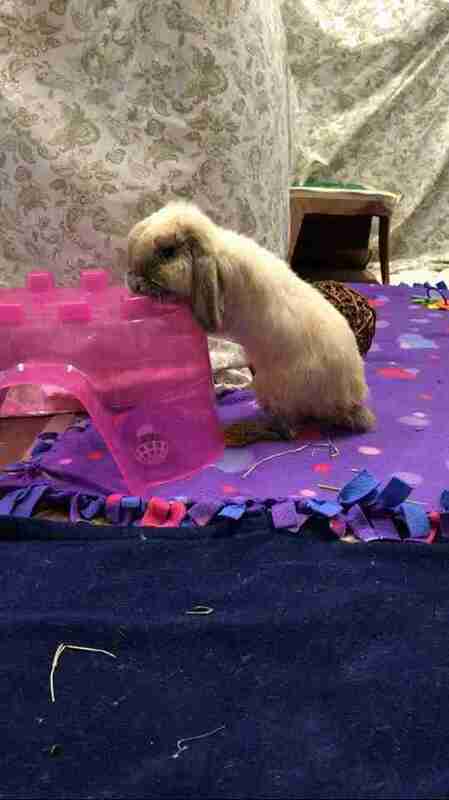 Gnocchi is also learning how to “binky,” which is a hop and a twist that rabbits do when they are really happy. The shelter will hold onto Gnocchi for another week to monitor his health, but then he’ll be up for adoption. 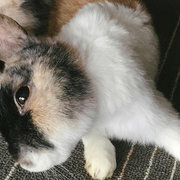 If you’d like to be the one to spoil Gnocchi for the rest of his life, fill out an adoption application with Georgia House Rabbit Society. 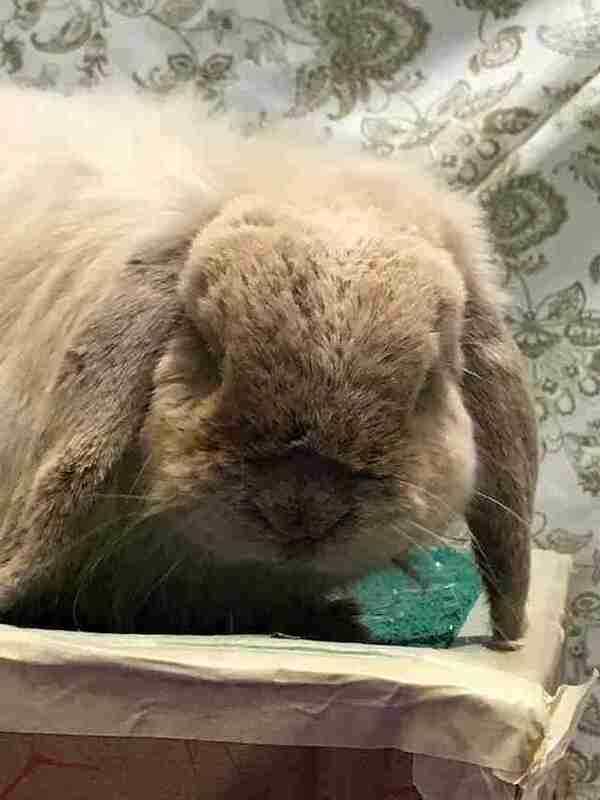 You can also help the organization rescue more rabbits like Gnocchi by making a donation.